UPTOWN — Despite a complicated relationship with homeless residents in his 46th Ward, Ald. James Cappleman has been tapped as the voice of a campaign to build tiny homes for people now living on the street. Recently, the alderman appeared as a spokesman in a video for Bootstrap Villages, which aims to build tiny homes for Chicago's homeless. The video, which Cappleman said he saw for the first time Sunday, is embedded above. "It’s been used in other parts of the country, and I was fascinated by it. That’s what intrigued me, and they asked me to come for an interview," Cappleman told DNAinfo Monday evening. "Tiny homes is a way of giving people the support they need in an environment where they feel more comfortable so they can start focusing on the issues they experience that got them to this place." Bootstrap Villages is hoping to fill a unique niche by providing the tiny homes for those unable to find housing services "in their neighborhood." Hypothetically, it would work with local service providers and complement their efforts, according to its website. While Cappleman stressed that "ideally" the villages would be in "all 50 wards," the nonprofit currently is pursuing one site — in Englewood — far away from the alderman's ward. The alderman didn't disagree with Bootstrap Village's choice of location or dispute that local homeless advocates' perception of him would be distracting to an agency trying to aid the city's homeless population. "The Uptown area [is] certainly open to lots, [but] in the Uptown area lots go for around $500,000. In Englewood, they go for less than a $1,000," said Cappleman. "So, yes, we could pay $500,000 for a lot and put some homes there, but we also could put some homes on lots for $1,000. I’m open to having these tiny homes in the Uptown area." While the founder of Bootstrap Villages is out of the country this week, the group addressed the concern of a North Side alderman advertising for tiny homes on the South Side. "The alderman interviewed with us months before we started identifying a site. Ultimately we would like to build a site in every ward, but when it came time to finish the video we had located potential sites for the first village on the south side," Bootstrap Villages responded to a similar question on its Facebook Page. Yehuda Rothschild, who's advocated for homeless in the area with such groups as Uptown Tent City for the last three years, found the video peculiar considering Cappleman's history with local advocates, and he posted the video on his website, Uptown Outside. "I find it kind of strange that it was apparently secretive. No one knew of it," he said. "He seems like an unusual choice for a spokesperson. I don't know if they actually plan to achieve the project." Over the last few years, the historically diverse neighborhood has undergone substantial changes, which housing advocates have largely attributed to Cappleman. Meanwhile, proponents of the alderman have welcomed the sweeping changes as signs the neighborhood is on the rise. Rothschild, who moved to Uptown nearly three decades ago, said the video is representative of "the new Uptown, which is not good for the poor and disadvantaged." "There's a quota on the unfortunate," Rothschild said. "He believes that Uptown bears too much of the brunt of taking care of the disadvantaged and believes they need to be somewhere else. That logic doesn't connect with me." Cappleman has a complicated relationship with the homeless. While he argues "no other alderman has ever been this active for people experiencing homelessness," housing advocates — and critics — have protested outside his office and his home consistently for years advocating for the homeless. In 2013, about 200 housing advocates said he was waging a "war on the poor." In 2016, three of his harshest critics were arrested after occupying his office for hours over such issues such as using $16 million in tax increment financing funds on a luxury high-rise. This year, they visited after tent encampments were removed from viaducts along Lake Shore Drive. There was also that beef with the Salvation Army in 2013, when he reportedly asked the agency not to feed the homeless in the ward. "They can accuse me, but let’s talk about the truth," Cappleman said. "When I first became alderman, Sarah’s Circle was in Uptown Baptist Church, and the women would have to leave at 7 a.m. in the morning with all their belonging, and they would come back into the facility at Uptown Baptist Church at 7 p.m. I was the one who worked with Sarah’s Circle when [they] lost their funding and got them into the Institute of Cultural Affairs building so that the women could stay there 24/7." Earlier this year, Apna Ghar, an Uptown shelter focusing on domestic violence victims doubled its capacity amid state budget problems causing social service agencies to fend for themselves. 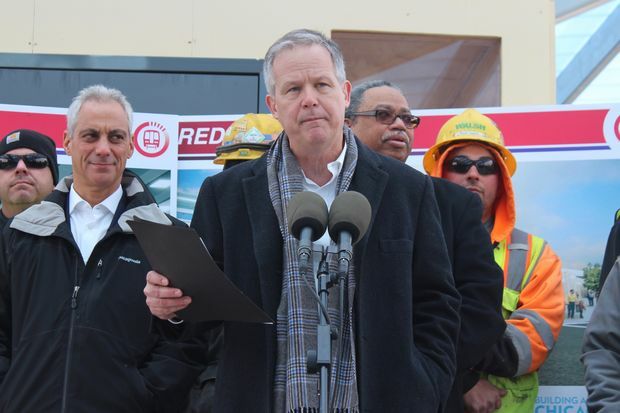 Under his watch, North Side Housing and Support Services expanded from 50 beds to 72 beds and "that was unheard of because other places weren't wanting shelters," Cappleman said. His relationship with North Side Housing and Support Services is a perfect illustration of his complicated relationship with his ward's homeless residents. While Cappleman maintains he is an advocate for the men's shelter housed in the lower level of the Preston Bradley Center, at 941 W. Lawrence Ave., its executive director disagrees. As the shelter teetered on the brink of closing last year, Cappleman said in his weekly newsletter he was unaware of the closing until it was too late and its board of directors had already made the decision to close. Hoping to "maintain a good relationship" with Cappleman's office, the shelter's executive director, Richard Ducatenzeiler, initially was silent about the alderman's involvement, but later called out the newsletter's "inaccuracies." “He did not help in any way. He did absolutely nothing to advocate for us," Ducatenzeiler said, adding that if any public official had helped secure funding, the shelter likely could have survived. The shelter eventually was saved by a last-minute $300,000 donation from the Reva and David Logan Foundation.